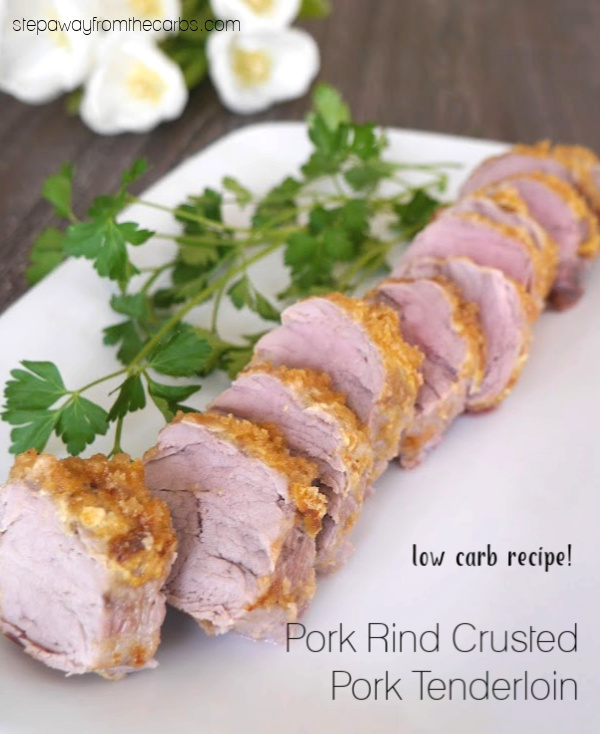 Here’s a collection of 16 recipes that demonstrate the low carb uses for pork rinds! 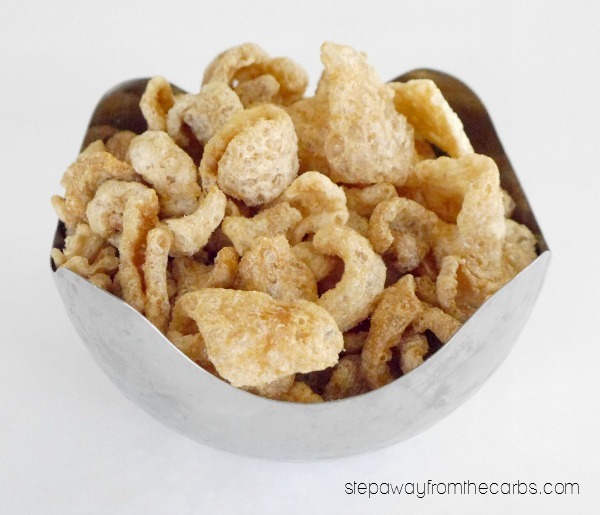 I first featured pork rinds on this blog as a no-prep snack. They are zero carb, tasty, and can easily be found in grocery stores and gas stations. But I soon realised how useful these pork rinds could be. 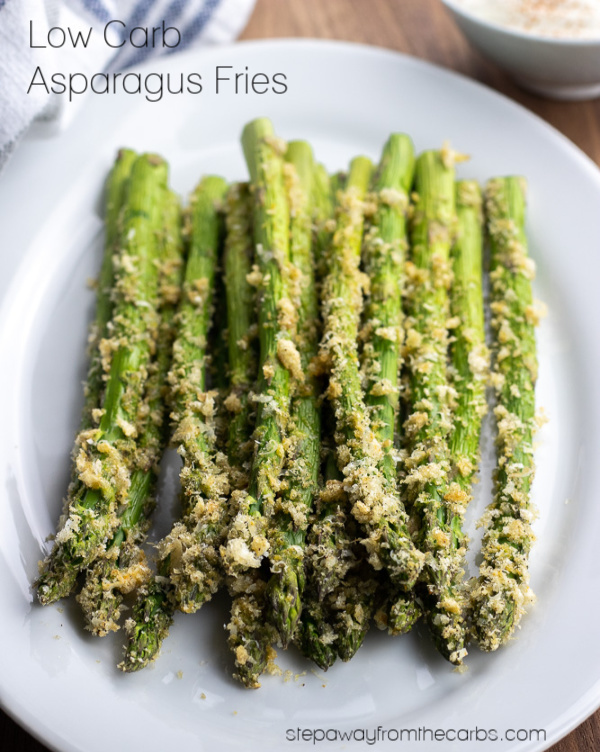 I could keep them whole but advance them into more interesting low carb snacks, or crush them up to use as either topping for a bake or casserole, or to coat anything from asparagus to bacon to pork tenderloin. There are three main types to buy: ready crushed into breadcrumbs, ready to eat, and cook in the microwave. I’ll admit that I’ve never tried the ready-crushed style because the price usually seems too high, and I’m quite happy to crush them myself. For the ready to eat kind, there are several brands available, from gas station basics to gourmet “pork clouds”. Most of these products are very good. 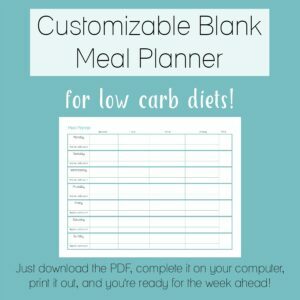 However, I would advise you to check the nutritional data for any flavor variations other than plain – manufacturers often start to add in sugar at this point which raises the carb count. I came up with my own BBQ Pork Rind recipe because of this! These Microwave Pork Rinds are very good indeed – cooking them “fresh” really enhances the flavor and texture. But it would be a waste to then crush these into crumbs – they are way better when you eat them hot as a snack! 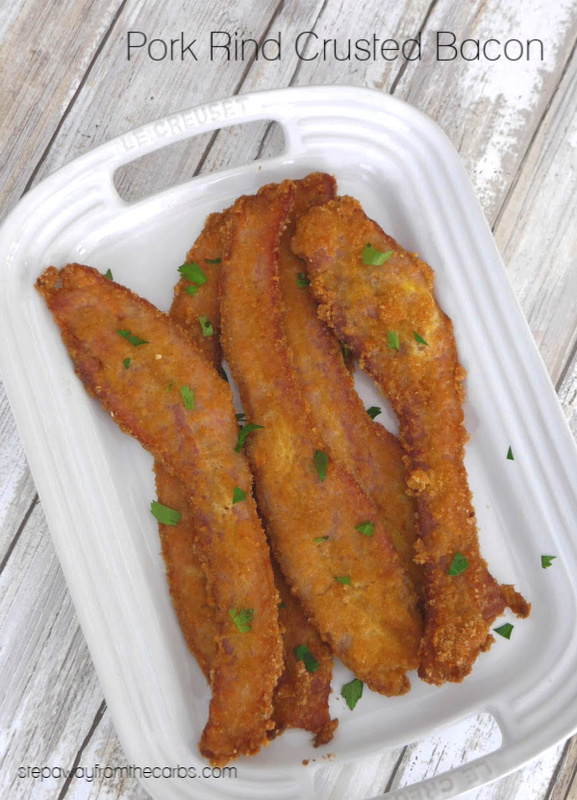 Oh and here’s a top tip if you need crushed pork rinds for a recipe, I absolutely love these seasoned pork rind crumbs – they are SO convenient! I have divided this collection of recipes into three sections: coating, topping, and snacking. 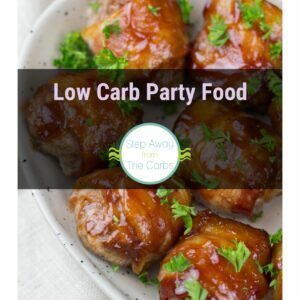 So enjoy the versatility of this zero carb food, and check out these fantastic recipes! Oh and I can’t leave out these pork rind tortillas from The Primitive Palate! Have a low carb use for pork rinds that I’ve not mentioned here? Leave a comment and let me know! Anyway, a few years back I discovered that I could satisfy that by eating the chip dip with pork rinds! I’m particularly fond of the Green Chile Dip but have also eaten french onion and other dips with pork rinds. It really does satisfy my craving for potato chips! I’m afraid that there’s no easy answer to that – it depends on which weight loss program you are following! I love anything heated and smothered in cheddar cheese, and dip in sour cream or cream cheese! Pork skins are no different. Also delucious, smother pork skins in hot sause and heat in cooker oven. Dip in sour cream. Yum, yum!